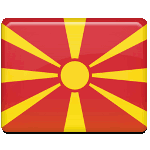 People of the Republic of Macedonia celebrate their Independence Day on September 8. This holiday was established to celebrate the day, when Macedonia gained independence from Yugoslavia in 1991. After the end of World War II Macedonia became a part of Yugoslavia. Only in 1991 Macedonia declared independence from Yugoslavia. This event was preceded by a national referendum on independence of the state from Yugoslavia. Over 95.5% of people voted for it. The first multi-party Macedonian Parliament adopted the Declaration of Independence on September 25, 1991 and the new Constitution was adopted on November 17, 1991. However, due to Greek opposition to a new state containing the term “Macedonia” the sovereign status of the republic was not recognized on international level till 1993. Celebration of Independence Day is a very important event for Macedonian citizens. Various events are organized for people to enjoy this day. Celebration includes free music concerts and festivals, cultural and historic displays and fairs, where everyone can enjoy ethnic Macedonian food.